The OE Password Recovery Software provides you the functionality to manage everything within the view panel that you can further customize to meet your needs and requirement. The Outlook Express password recovery gives you the ability to recover you're lost for forgotten password in no time so that you get back to work instantly. The OE Password Recovery software supports all the editions of Outlook Express which makes it a universal utility to retrieve your Outlook Express password. The Outlook Express Password Recovery Software supports all the versions of Windows OS which makes this tool a platform independent software. The software gives the user the ability to easily get back their DBX Email Client password without having to go through any steps as the software will give the result automatically. Highly Organized and easy to use interface. Supports all the editions of Outlook Express. Compatible with all the versions of Windows OS. 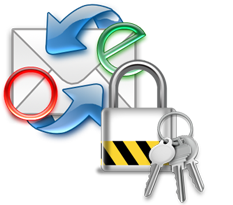 The OE Password Recovery free software works on all Windows OS and supports all the edition of Outlook Express. The tool provides the assurance to restore password of Outlook Express without going through any inconvenience. Is there any hidden charge for the software? No, the software is completely free of cost and you can use or reuse the way you want every time. What are the versions of the Outlook Express the software is compatible with? Is Outlook Express installation is compulsory to run the software? No, the Outlook Express installation is not required for the working of the tool. A whole heart thank you to the team of Systools Group for creating such a marvellous software. The OE Password Recovery tool is easy to use and is just magical. The restoring password with the help of Outlook Express Recovery software is as easy as spreading butter on bread. The GUI of the tool is very easy and one can easily restore OE password.